Here at Evans Training Centre and Black Lion Kennels, we first see the dog as what it really is. What is a dog? Some people say "it's my pet", "it's my baby", etc. . . . No - a dog is a predator, pack animal and carnivore. Regardless of the breed, that's what it is. No amount of wishful thinking, dreaming and hoping is going to change that. Every pack animal needs a leader so, for a dog to respond to you, it needs to view you as a leader. And, yes, we've all heard this before - but one question is almost never asked: how do you become a leader? Your dog doesn't know us from a fence post but it will probably amaze you to see what your is doing for us after 14 days. 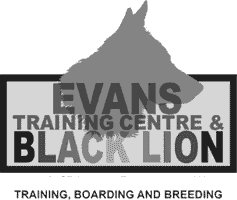 At Evans Training Centre and Black Lion Kennels we communicate with the dog in a way it understands, through its basic senses and beyond. These include vision, hearing, smell, sensitivity, energy, aggressiveness, intelligence and motivation. The dog is not our best friend. It's not the dog's love for the trainer that gets it doing what it's doing after 14 days. 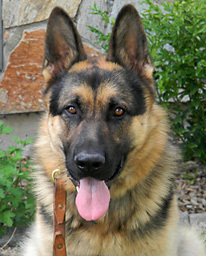 Much of our training is psychological and understanding the dog and how it perceives the world. This is why group obedience classes do not always work: there has to be one-on-one time with the dog to understand it. Feeding treats do not establish you as a leader and there isn't one method for all dogs. We can get two dogs today: one urinates every time it sees it's shadow, the other wants to bite my face off every time it sees me - but, after training, the level of obedience would be the same. Level I (On Leash) and Level II (Off Leash) each take 14 days. The dog must return to its owner for a minimum of two weeks between the two training levels. 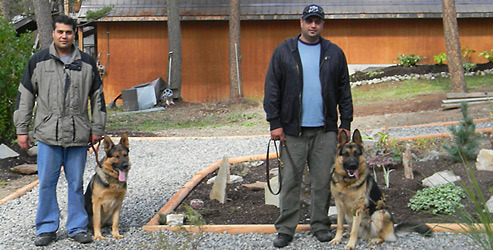 All dogs reside at the training facility for the duration of their training. We train the dog first then the handler. 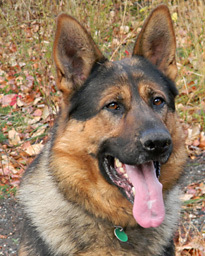 To ensure the time is spent on training, a limited number of dogs are trained in each 14-day period.